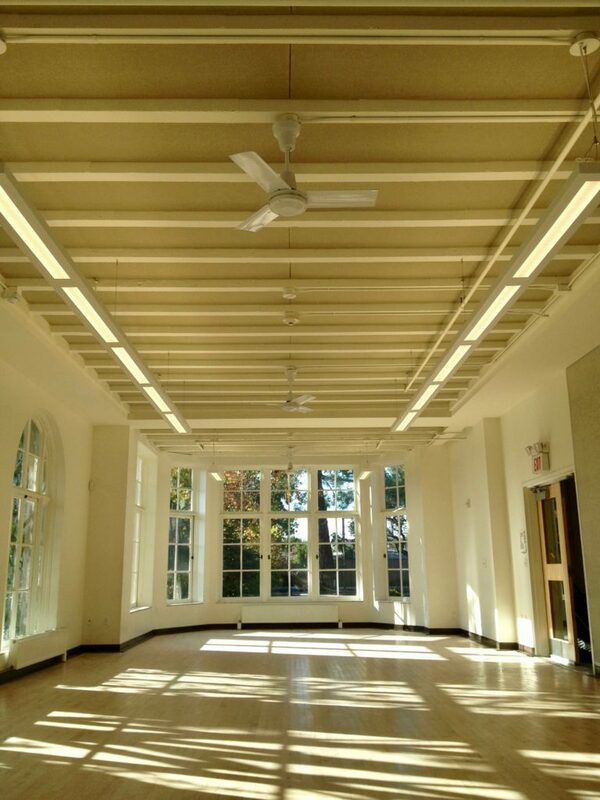 Performing Arts rooms such as Concert Halls, Clubs, Recording Studio Live rooms, Theaters, and rooms designed for spoken word and speech are examples of Sound Production Environments. The arrival time of reflections and the energy created by sound is what defines the quality of the sound in such spaces. These environments require a calculated combination of diffusion and absorption to control the overall sound. 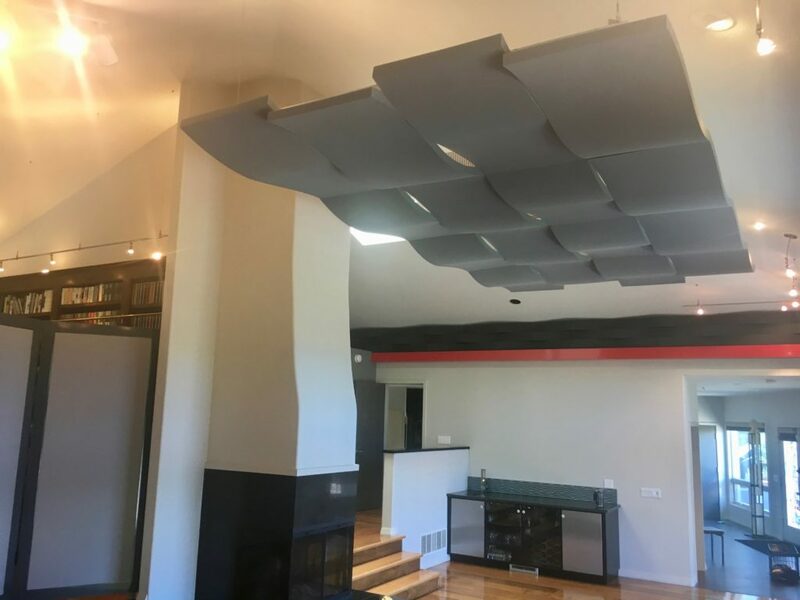 Fabricating treatments designed to do both absorption and diffusion, or “Hybrid Treatments”, are sometimes necessary for a great sounding room. 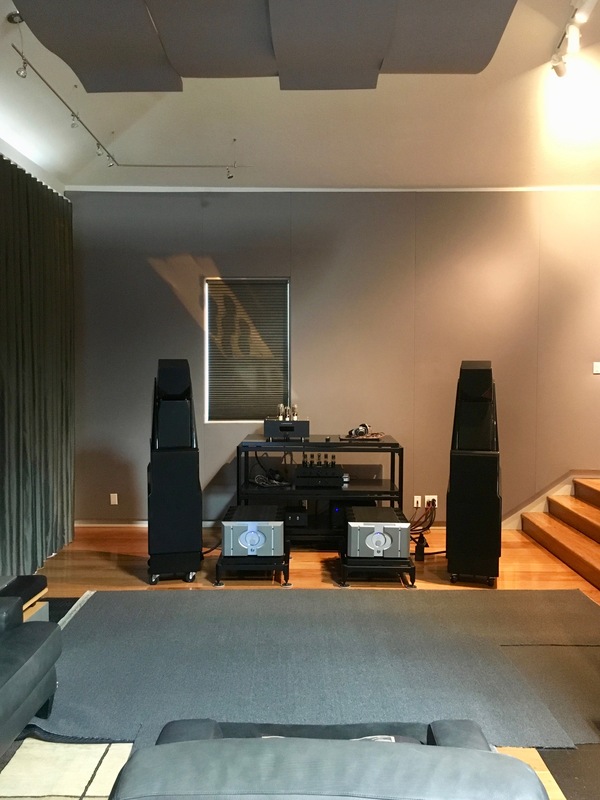 The Acoustics of sound reproduction rooms, like recording studio mix/mastering rooms, listening rooms and home theaters, should be neutral. The sound is generally on pre-recorded or play back media and the room is only there to provide a neutral environment for the information to sound as it was recorded, or intended to sound. Absorption and diffusion are keys to controlling the coloration of the sound of the space. 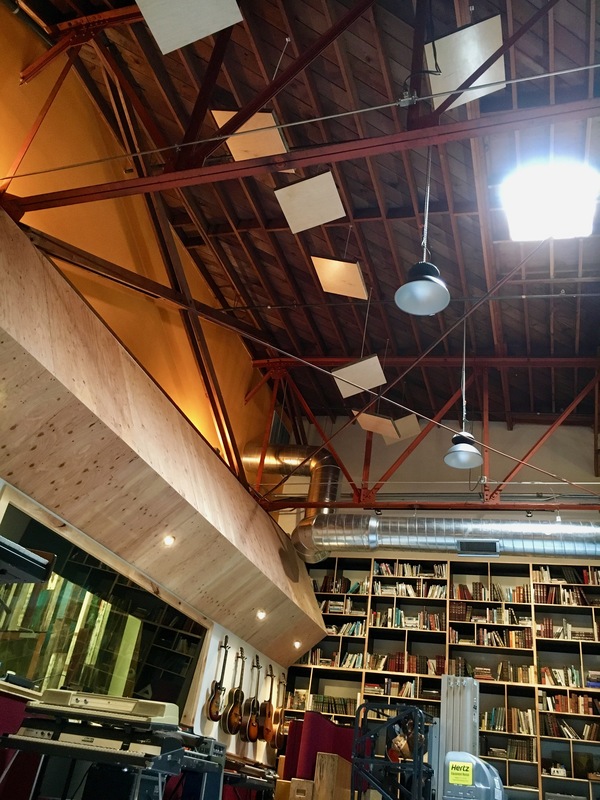 In noise control situations such as offices, gymnasiums, restaurants, factories, etc., the goal is simply to reduce the reverberance and overall sound level. Sometimes to help with preventing hearing damage, and sometimes to also improve the intelligibility of speech. Uniform distribution of absorption is key for sound control. 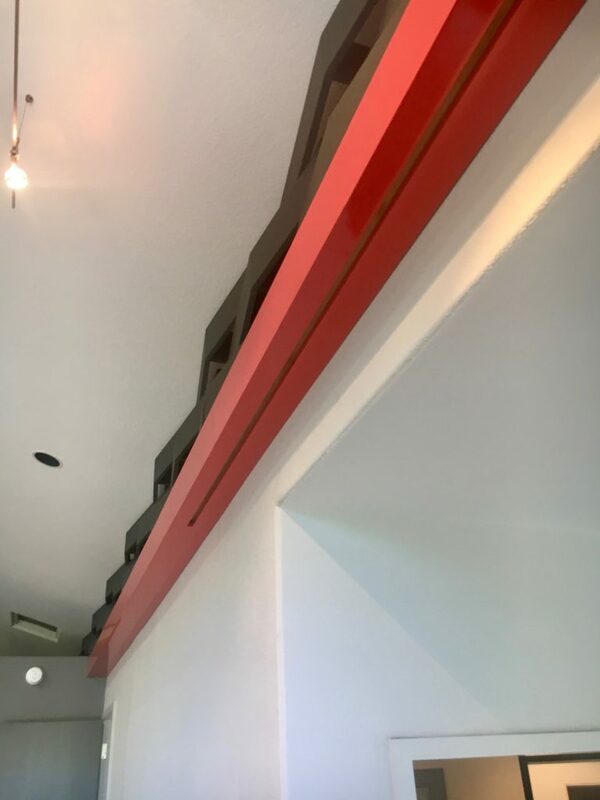 Acoustic curtain track under diffusor • Custom listening room tuning installation • Cupertino Ca. 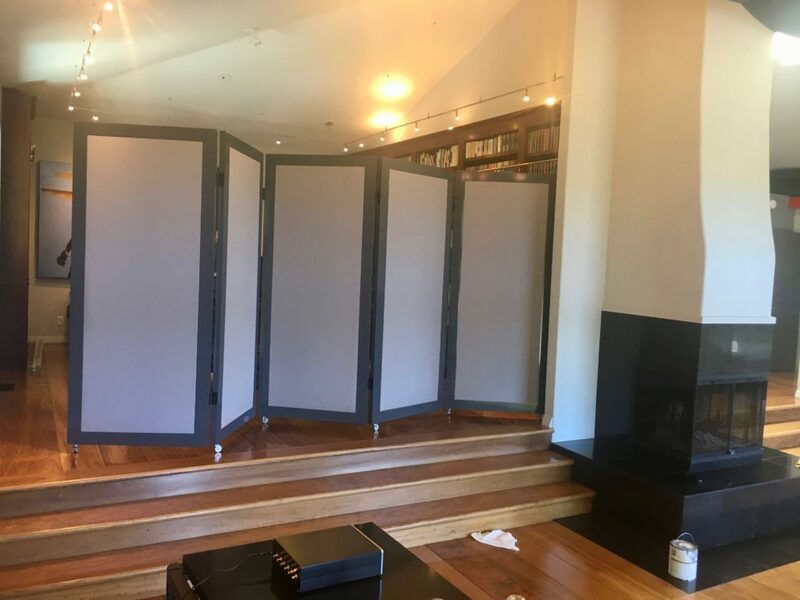 Rolling bi-fold acoustic doors • Cupertino Ca. High to mid frequency absorbing “cloud” above living room • Cupertino Ca.